Welcome to our Amsterdam Guide. On these pages you will find useful information about attractions, museums, sights, restaurants and activities in Amsterdam. Every description is accompanied with pictures, so we as you read through our pages you will get a good impression about what you can expect as you visit Amsterdam. You can also find interesting tips on cities to visit in Holland with pictures, maps and useful information! 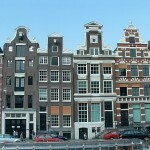 Holland is not really a very big country, and this gives enjoyable opportunities for day excursions from Amsterdam. That is why we feature information about several other cities and places worth visiting in the Netherlands in our Amsterdam Guide. Lean back, grab hold of a cup of coffee, and prepare for some wonderful days and weeks in the Netherlands and in Amsterdam.